Barbara Kophamer is the trusted, knowledgable industry professional for all of your Sauk Valley real estate needs and desires. Serving the areas of Morrison, Prophetstown, and Thomson, Barbara has nearly three decades of experience servicing these areas. She has gained numerous designations and achievements for her dedication to helping local homebuyers and sellers, including the RE/MAX Hall of Fame in 2011 and Multi-Million Sales Volume Producer. Membership in the Hall of Fame goes to those who have closed more than 350 transactions while affiliated with RE/MAX. 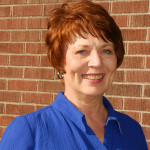 Barbara has been actively involved in her community with many organizations and causes, served on the Sauk Valley Association of Realtors Board of Directors and in the past, as the Director of the Chamber of Commerce. As a full-time real estate agent, Barbara is dedicated to helping you achieve your homeowner goals. If you’re looking for more information about buying or selling a home in Morrison, Prophetstown, or Thomson, Barbara Kophamer of RE/MAX Sauk Valley is the agent for you. the Prairie Advocate, the Daily Gazette, the Whiteside News Sentinel, the Fulton Journal, the Clinton Herald, the Prophetstown Echo, and Homes and Farmer.